Back in 2004, Mark Zuckerberg launched a social media website called Facebook. Even though he had pretty big plans in mind even then- he intended to push other social media websites out of the market with the launch of his own- it is hard to tell whether he really envisioned Facebook becoming as big as it is today. In the present day, 13 years after it was officially born, Facebook has become so much more than a cyber hangout spot for people around the world. Sure, it is still primarily a modem meant for connecting people across the globe, but its impacts on the world have been far-reaching and momentous. Facebook has made communication easier than ever. Sure, social media websites have always been a mode of getting in touch with people since their inception, but Facebook has made the experience much better. It has a highly user-friendly interface, and its options are fun. Sharing your life’s updates was never so much fun before. People are now able to communicate with long lost friends and like-minded people, often leading to long lasting relationships. Facebook is, in many ways, a harbinger of change. News spreads fast with shares from wall to wall. People tend to share experiences and interesting incidents on their wall, which is viewed by thousands of other users. This leads to more awareness. For instance, an incident of racial abuse happening in a college dorm in Australia, if recorded and uploaded, will be viewed a million people across the world in a matter of a few minutes. More people will become aware of the incident, views will be exchanged, and a call for change will be initiated. Facebook claims that there are a few billion photos and videos uploaded to its servers each day, which is probably true, considering the number of ‘home-cooked dinner’ photos we see clogging our timelines on a daily basis. 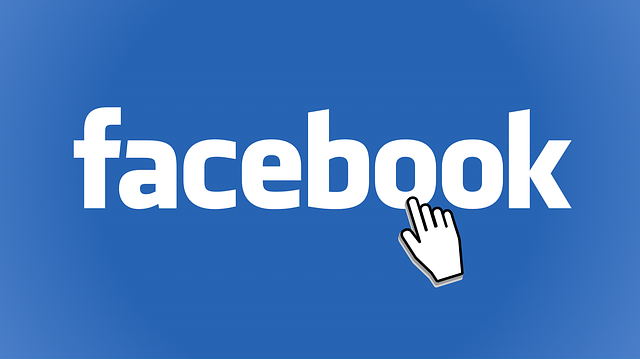 With a practically unlimited storage capacity, Facebook has become the biggest online memory storage device for people everywhere. If you simply upload your photos and videos in you profile, you are effectively saving your memories for posterity, probably for generations to come. Even if all your devices crash and you use up space in all your other cloud storages, what you have uploaded in Facebook is there for a long time to come, in the least. Facebook is really important for businesses. It has changed the way online marketing works. With a few million people logging on to Facebook at any given moment, it is the largest audience base the internet can offer. Target marketing has found new life though Facebook, with companies advertising their wares to a niche audience filtered on the basis of search histories. Naturally, marketing has become a lot easier and more effective. Despite its many filters and blocks in place, Facebook still poses a threat to privacy. Stories of profiles being hacked and compromised are rife, and cyber bullying has reached new levels. Policies against offenders are not very strict either; reporting in Facebook entail blocking the offender in your profile, and a tip from Facebook asking you to report to concerned authorities. Creating new profiles is cakewalk, which means that even if Facebook does block a particular user, they need only to open a different account and continue in their ways. This has actually become the new pathology for the current generation. More and more people are being diagnosed with social media addiction, which is characterized by a complete inability to stay away from social media websites. Since Facebook is one of the most widely used social media platforms in the world, it can be assumed that its impacts on the psyche have been the most. People suffering from this experience an inability to concentrate on regular tasks and fail to enjoy real time human interaction, subsequently leading to a breakdown in normal life. As a result, technology detox rehabs have opened up in various parts of the world, where people go to stay away from social media for a while and adjust to a life a lot less virtually connected. Facebook today has made life a lot easier, and definitely a lot more fun. In fact, it is not just a casual hangout place, it is your virtual coffee shop where you can unwind and get together with friends. Of course, it pays to remember that it is, after all, only virtual, and can never really replace the warmth and camaraderie of real life relationships. Facebook is a good thing, but only as long as we use it right.